From an early age Swedish-born Anders Lundegård demonstrated a unique talent for performing classical music on the saxophone. 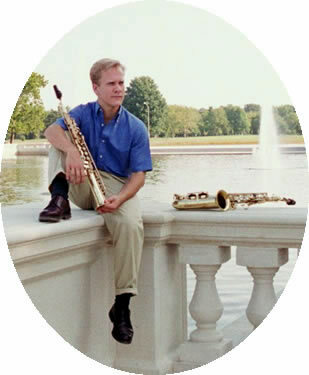 Educated at Kungliga Musikhögskolan (the Royal Academy of Music) in Stockholm and at Northwestern University in the US, he has won numerous awards, including the Fulbright and a Sweden-America Foundation Fellowship .His dissertation, Background and Emergence of the Swedish Saxophone Concerto - Lars-Erik Larsson, Op.14, is an introduction to Swedish saxophone repertoire. As a young musician, Anders was inspired by an anecdote from the saxophone's early experimental stages (1850s). During an informal visit to the workshop of Belgian inventor Adolphe Sax, the Italian composer Rossini proclaimed the sound of the new instrument as "the most tender and pleasing” he had ever heard. Dr. Lundegård has devoted his career to capturing this original sound.